An invitation, a call, to gather as living community to sound our joys, our sorrows, our hopes. In a field of pure vibration, no words are needed. Just sound in its more authentic expression, as a path to reawaken our souls. 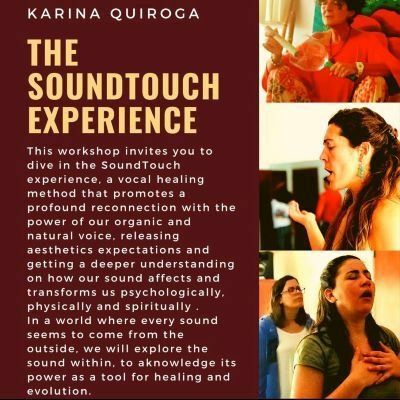 This workshop invites you to dive in the SoundTouch experience, a healing method that promotes a profound reconnection with the power of our organic and natural voice, releasing aesthetics expectations and getting a deeper understanding on how our sound affects us psychologically, physically and spiritually . In a world where every sound seems to come from the outside, we will explore the sound within, to acknowledge its power as a tool for healing and evolution. Our healing voice: our voice as a tool for realization and transformation. Relationship between Personal and Collective Field and sound. Sounding Mindfulness: practices on deep listening to support our Heart´s Magnetic Field. Voice practices beyond singing techniques. The importance of our organic and natural voice to release emotions and thought patterns. The gift of expressing our Soul´s truth. Humming: a practice to dissolve emotional and trauma crystallization in our physical body. Restoring our Parasympathetic Nervous System. The overtone chanting: a way to create light frequencies through our voices. 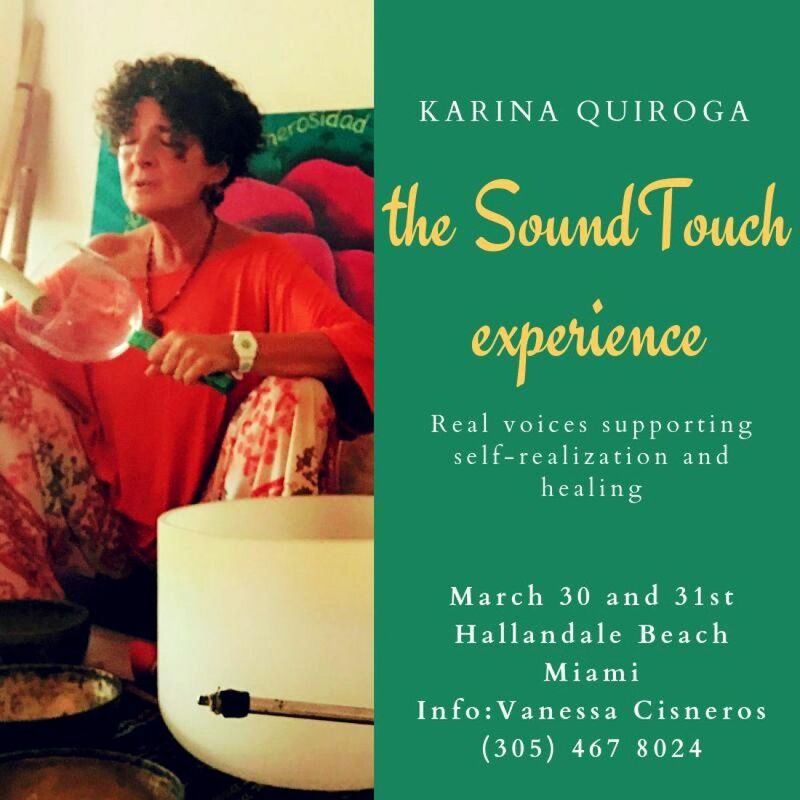 Karina Quiroga (Argentina) offers her experience and years of exploration in the field of Voice as Medicine to inspire a journey where our body instrument is the vehicle to awaken and nurture a Presence in connection to Source. She developed a voice therapy work called SoundTouch, and offers workshops in Argentina, Europe, Israel and Latin America, training professionals and inviting every woman and men to re-enchant their lives through their organic sound.